Conor O'Malley; Michael Barker, Rory Feely (Conan Byrne 57), Gavin Peers, Darren Dennehy, Ian Bermingham; Alex O'Hanlon, Lee Desmond, Josh O'Hanlon (Kurtis Byrne 57); Jonathan Lunney, Christy Fagan. 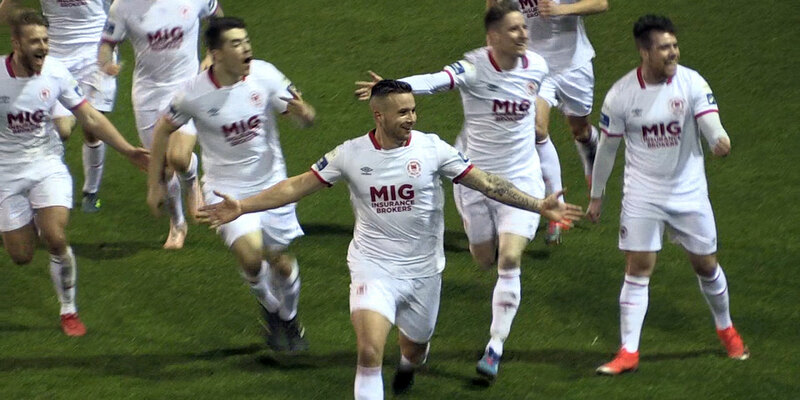 Patrick McEleney hit a stunning brace as Dundalk returned to winning ways with a comfortable 3-0 win over a St Patrick's Athletic side who look to be in serious trouble. Former Pat's striker Ciaran Kilduff put Dundalk into a half-time lead but the second half was all about the brilliance of McEleney, his quickfire brace bringing his tally for the season to four. The result moves Dundalk into third place ahead of their eagerly awaited clash with Cork City next weekend and leaves Pat's deep in trouble at the bottom of the table with just one point from their opening five games. Stephen Kenny made just one change to the side that was beaten 3-1 by Derry City five nights earlier with goalkeeper Gary Rogers coming in to make his first appearance of 2017. Gabriel Sava dropped to the bench. 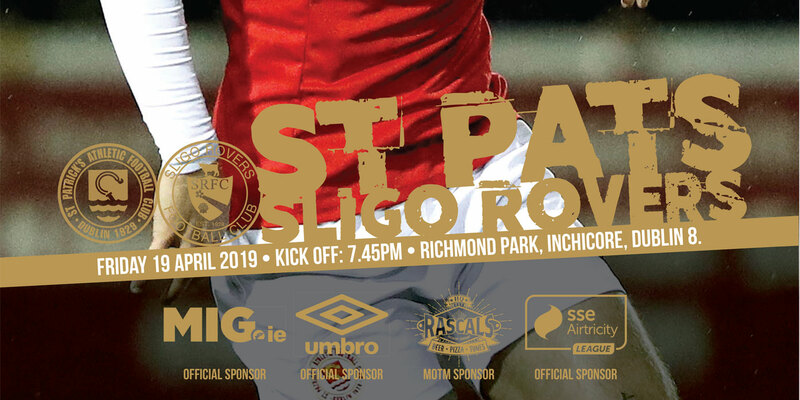 Pats' last outing was a 2-1 defeat at home to Finn Harps and Liam Buckley reacted to that loss by ringing the changes, bringing in Conor O'Malley, Gavin Peers, Alex O'Hanlon, Rory Feely and Christy Fagan. O'Malley was the busiest of the two goalkeepers on show in the first half, keeping Dundalk at bay with a number of decent saves, the first coming early on to stop Michael Duffy. McEleney then fired a free-kick well off target before Duffy cut in from the left and drilled an effort wide of O'Malley's right-hand post. Rogers was called into action for the first - and only - time in the game after 11 minutes, patting a Gavin Peers header away for a corner. Alex O'Hanlon provided the ammunition with a nicely weighted free kick. With Christy Fagan and Josh O'Hanlon operating together in attack, the visitors had some joy early on but Dundalk began to revel in the open space between the Pat's defence and midfield. Benson's outrageous left-footed pass released Duffy again on the quarter hour. The backspin, coupled with Duffy's pace, allowed the winger to collect the ball and skip around O'Malley but he was stopped by a Peers tackle before he could size up the target. The hosts continued to turn the screw and three good chances arrived in quick succession. O'Malley showed good wrists to beat a Mountney effort away before Peers did brilliantly to deny Sean Gannon with the full-back ready to pull the trigger from Kilduff's knockdown. The best opening arrived on the 20 minute mark when Kilduff stretched to head over the top after Mountney picked him out in a central position. O'Malley was tested again five minutes later, throwing himself to the right again to deny McEleney's curling effort with a spectacular but comfortable save. Benson continued to surge from deep positions and he clattered into Darren Dennehy on the half hour after bravely climbing to meet a Dane Massey cross. The header packed a punch but O'Malley gathered at the second attempt. 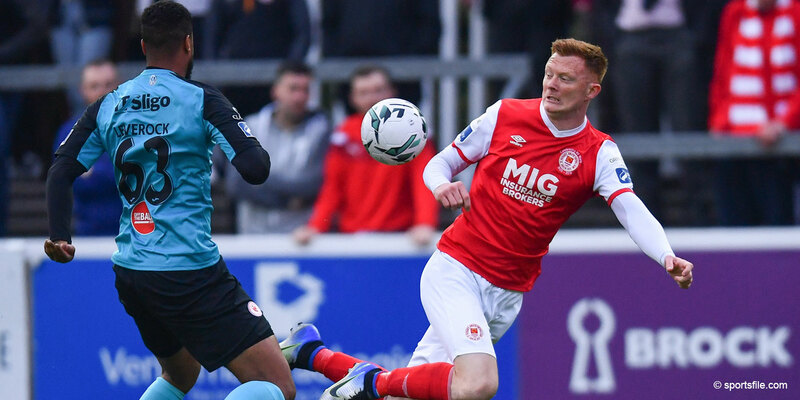 Peers showed all of his experience as the half wore on with the former Sligo Rovers skipper doing enough to stop Kilduff from diverting another Mountney centre on target. He then threw himself brilliantly in the way of a Mountney shot. It looked as though Pat's would get to the break on terms but the breakthrough finally arrived a minute before half time. Sean Gannon fed McEleney on the left and he drove at Michael Barker to flash a ball across the face of goal for Kilduff to prod home. Buckley's half-time teamtalk went up in smoke within two minutes of the restart when McEleney collected the ball deep, weaved his way through a number of red shirts and lifted the ball brilliantly over the helpless O'Malley. His second had the majority of the 2,675 in attendance on their feet again six minutes later. Picking a pass up from Kilduff, he ran at Rory Feely on his left before toe poking a delightful finish across O'Malley with his right foot. Buckley introduced Conan and Kurtis Byrne in an effort to stem the tide but Dundalk continued to open up and Clifford should have worked O'Malley on the hour, shooting wildly over after nice approach play by Duffy. Pat's never looked like getting back into things and Fagan fired wide before substitute Kurtis Byrne tested Rogers in the latter stages. Dundalk saw it out in in cruise control with Kenny able to give Chris Shields and David McMillan their first action of the campaign ahead of next weekend's pivotal trip to Leeside.